Anyway, this book had my name all over it for two reasons: A) I live for Martha Stewart, she is the ultimate, and B) I read something by Jen Lancaster last summer and loved it. Lancaster has a series a memoires about various portions of her life that revolve around certain themes or challenges. 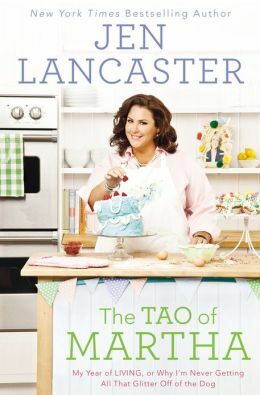 In this book she is in the process of rebounding from a particularly challenging year and makes a new year’s resolution to follow the “tao of martha” to both build some skills and restore some self purpose. I’m all about this. So Lancaster spends the whole year working through various areas of Martha’s domestic empire from broadening her cooking repitoire, to working in her garden, to planning the perfect party, to re-organizing her kitchen cabinets, to re-decorating her guest room. Not only does the experience broaden her own set of capabilities, she learns a lot of lessons of efficiency and perserverance in the process. She doesn’t keep a strict schedule and her projects kind of eb and flow based on her moods throughout the year, but she ends up finding a lot of value in the exercise overall. She stuck to her resolution for the full year and ended up with a much cleaner, more efficient household and life when all was said and done. Another reason to bow down to the all knowing Ms. Martha Stewart. In the process of unpacking and setting up my new apartment, I have had a few occasions to consult Martha myself. 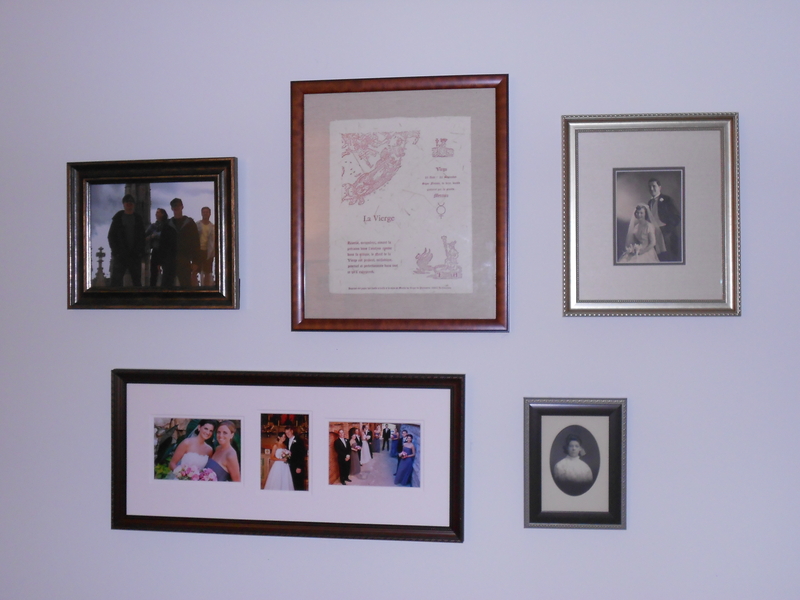 Here are some of the fruits of that consultation: my picture hanging. It’s not quite perfect, but I think its damn close.